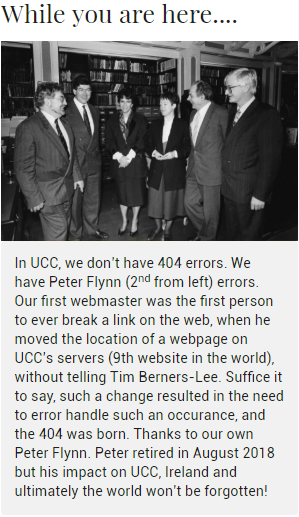 Came across this on a 404 error on a university website in Cork City, Ireland. That is truly a unique claim to fame! I love it! What about the 301 and 302? Those damned universities always techin people stuff. /s Seriously this is awesome. Because someone or something messed up they go beyond the normal “our bad” and teach you something at the same time. Entirely unrelated but since it caught my eye, does anyone else feel really irritated when they see someone not using the Oxford comma? Even though I know it is not the only grammatically correct way to punctuate, I’ve just had it engrained into my mind. Pretentious and awesome… so conflicted. What do you think about my hedgehog drawing?